Each Noble Translucent Roller Shade offers designer fabrics that create a decorative look perfect for any home decor. These eco friendly fabric roll up shades are made from PVC-free polyester fabric with a unique ribbed pattern. Designed with a unique patented secure grip spline, attaching the fabric to the roller preventing it from falling off the tube as well as keeping the fabric aligned. Headrail width, ordered width minus 1/4"
W: 12" 13" 14" 15" 16" 17" 18" 19" 20" 21" 22" 23" 24" 25" 26" 27" 28" 29" 30" 31" 32" 33" 34" 35" 36" 37" 38" 39" 40" 41" 42" 43" 44" 45" 46" 47" 48" 49" 50" 51" 52" 53" 54" 55" 56" 57" 58" 59" 60" 61" 62" 63" 64" 65" 66" 67" 68" 69" 70" 71" 72" 73" 74" 75" 76" 77" 78" 79" 80" 81" 82" 83" 84" 85" 86" 87" 88" 89" 90" 91" 92" 93" 94" 95" 96" 97" 98" 99" 100" 101" 102" 103" 104" 105" 106" 107" 108" 109" 110" 0/0"1/8"1/4"3/8"1/2"5/8"3/4"7/8" H: 12" 13" 14" 15" 16" 17" 18" 19" 20" 21" 22" 23" 24" 25" 26" 27" 28" 29" 30" 31" 32" 33" 34" 35" 36" 37" 38" 39" 40" 41" 42" 43" 44" 45" 46" 47" 48" 49" 50" 51" 52" 53" 54" 55" 56" 57" 58" 59" 60" 61" 62" 63" 64" 65" 66" 67" 68" 69" 70" 71" 72" 73" 74" 75" 76" 77" 78" 79" 80" 81" 82" 83" 84" 85" 86" 87" 88" 89" 90" 91" 92" 93" 94" 95" 96" 97" 98" 99" 100" 101" 102" 103" 104" 105" 106" 107" 108" 109" 110" 111" 112" 113" 114" 115" 116" 117" 118" 119" 120" 121" 122" 123" 124" 125" 126" 127" 128" 129" 130" 131" 132" 133" 134" 135" 136" 137" 138" 139" 140" 141" 142" 143" 144" 145" 146" 147" 148" 149" 150" 151" 152" 153" 154" 155" 156" 0/0"1/8"1/4"3/8"1/2"5/8"3/4"7/8"
The roller shades are wonderful and we had Blinds Chalet install.. The roller shades are wonderful and we had Blinds Chalet install.. so very easy installation!! Great Product! We have these installed on 29 windows and love the look and operation. The first blind took about 30 minutes to install. Once I had the installation down it took less than 15 minutes to install each shade. I have a video I plan to place on You Tube showing an installation. I hope this will help others cut time off their initial install. We also enjoyed working with Erin at Blinds Chalet. Many roller shades were researched before finding one that would suit our specific measurements. 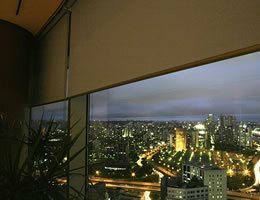 Many roller shades were researched before finding one that would suit our specific measurements. Our order was processed and delivered within the estimated time given and received in good condition with complete installation instructions. We are very pleased with this product! Product shipped promptly. Quality exceeded our expectations.